In the past, the majority of my posts were directly photography related. As I move forward with this blog, I intend to add a little flavor from my life that might be indirectly photography related but it will have a twist of my life and personality in it. Prior to purchasing the Droid, Verizon called me on a regular basis and reminded me that I was eligible for a new phone. My response was always the same; I am waiting for the iPhone or something similar. Sir, you can purchase the (fill in the blank with the hottest not so smart phone). One of the best features of the Droid is the built in real-time GPS. I had the GPS in my Blackberry Curve but it wasn’t the same. I saw it in the Storm and Pearl but they were not the same. As long as I have my phone with me, I have a GPS unit, which is amazing! I am on the road traveling multiple times per month and in multiple cities per week/day some months. The real-time GPS is invaluable for me for many reasons. One reason is the ability to easily navigate to an address without prior notice or planning. A few weeks ago, I received a call from my daughter stating that she broke down on a busy road nearly one hour from me. She was able to get the vehicle off the road and made her way to a local business (she had her son with her too). I asked her to send me the address via a text message knowing that I could use the information directly from her text message into the ‘navigation’ app in the Droid. I didn’t need to worry about finding a printer (to print off directions from the internet) since I was in my car and normally do not carry a printer with me. Nor did I need to look at small directions on my cell phone that I pulled up from the internet. 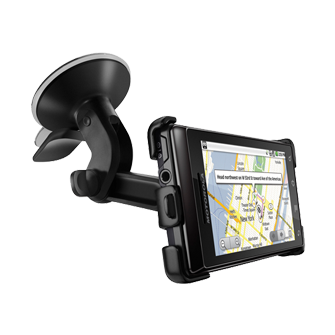 How valuable is the GPS within the Droid? Invaluable!